Chrichton's World: Review Project A 2 a.k..a. Project A II a.k.a. Project B a.k.a. 'A' gai wak 2 (1987): Charming sequel but not as strong as the original! Review Project A 2 a.k..a. Project A II a.k.a. Project B a.k.a. 'A' gai wak 2 (1987): Charming sequel but not as strong as the original! 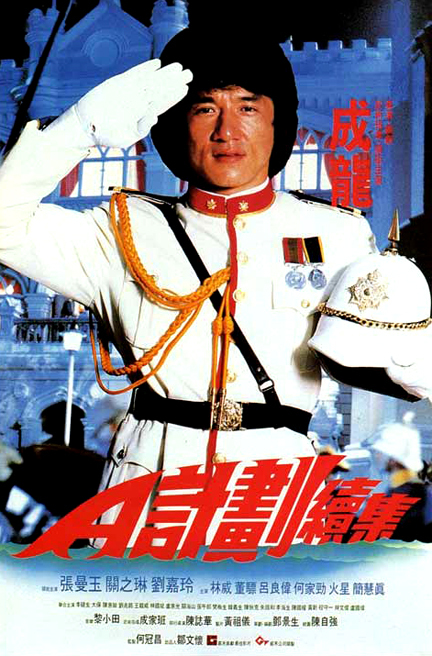 Sergeant Dragon Ma (Jackie Chan) has impressed his superiors so much that he is transferred to become the head of police of the Sai Wan district to lighten the load of Superintendant Chun (David Lam). While they don't mince too many words about it they do suspect Chun to be corrupt and that this action will increase the odds of catching Chun in the act. Seems like a simple enough task wouldn't you say? Unfortunately fate has more in store for Dragon Ma than he bargained for. Dragon Ma gets wrapped up in all kinds of events where very little explanation or background is given. You aren't really expected to make sense of it all since the confusion is intentional to make the events more comedic or exciting. Dragon Ma meets several characters who have their own agenda. It's not made clear whether these characters are evil or good although the choice of actors should give you some indication. Project A II basically is a farce where combat, acrobatics and stunt work is added. The overall result is a surprisingly charming film where you will find yourself laughing about the predicaments the characters have gotten themselves in to. 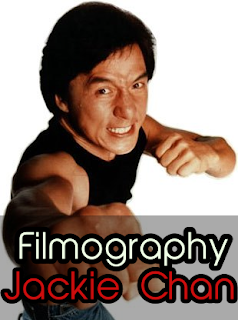 I do have to point out that for some reason Jackie Chan has put emphasis on stunt work and is seen climbing and jumping on buildings like it's nothing. He fights far less than I would I have liked to. Still you have to admit he never fails to impress. Actually so does Maggie Cheung. She mostly is here for comic relief but there is one scene she is made to jump of a building. I think normally they use stunt people to do that kind of thing. But somehow Jackie had convinced her to do it herself. Yet another example of a Hong Kong actress going above and beyond in the film business epitomizing female empowerment without getting or wanting recognition for it. Project A II is a very enjoyable old school Jackie Chan flick. Definitely one of the better films he has made.